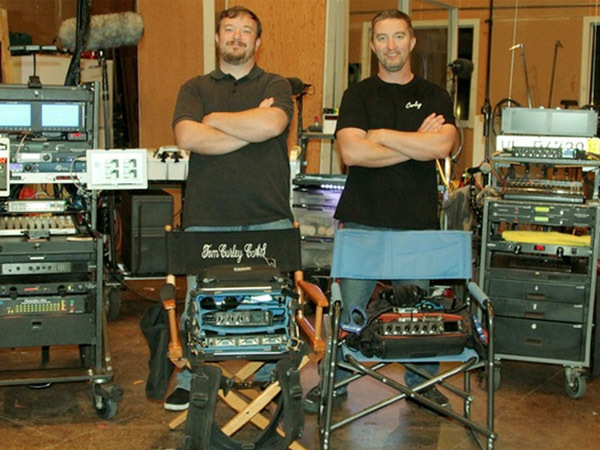 Los Angeles, CA (June 26, 2018) – Oscar award-winning sound engineer Thomas Curley recently added the Lectrosonics PDR Portable Digital Audio Recorder, to his wireless equipment package which includes the SSM Super Slight Micro Transmitter and 200 and 400 Series transmitters and receivers. Curley recently used the new PDR on the upcoming action film, AXL as well as the upcoming TV series Yellowstone, starring Kevin Costner and written and directed by Taylor Sheridan. Thomas Curley started his career as a Production Assistant on the 2002 movie Time Machine and went on to win an Oscar for Best Sound Mixing for the movie Whiplash in 2015. In business with brother Brian Curley since moving to Los Angeles from New York in 2002, Thomas Curley has an arsenal of other Lectrosonics Digital Hybrid wireless products including the SSM Super Slight Micro Transmitter and the 200 and 400 Series Receivers. “Lectrosonics’ wireless technology is second to none. Over the years of working with Lectrosonics, their products have proven to be stable, reliable, and rock-solid all around, and a good value. In fact, one of my brother’s transmitters was run over by a car and it was completely fine other than a few scuff marks,” says Thomas.